For the past 8 years, the one album that has accompanied me during finals week is Simon & Garfunkel’s Greatest Hits (best studying music ever). Anyway, finals are done now and Mike Nigro over at Graffiti Radio asked listeners to submit their favorite new albums from 2011 and I realized that this year I unfortunately haven’t been listening to much new music >.< Anyway, this is what I came up with, listed in no particular order. 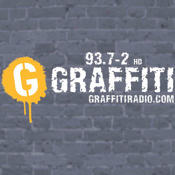 Head over to Graffiti Radio’s site to submit your own list! Hello Sadness – Los Campesinos! View/listen to my playlist on Spotify!